Denton and Reddish MP, Andrew Gwynne, is joining colleagues today in the House of Commons as MPs debate a bill aiming to reduce the voting age to 16. The bill, officially titled The Representation of the People (Young People’s Enfranchisement and Education) Bill will receive its second reading on Friday (3 November). This will be the first opportunity for MPs to debate the idea of extending the franchise to those aged 16 and 17. The issue has official support from the Labour Party, but also backing from the Liberal Democrats, SNP, Plaid Cymru and Greens. The Bill, which will seek to reduce the voting age to 16, was introduced by Labour MP for Oldham West & Royton, and will also include a requirement on Returning Officers to ensure reasonable steps are taken to register new voters and a requirement on schools to provide education on democracy and citizenship. Across the Denton and Reddish constituency there are currently an estimated 1,358 16 and 17 year olds who could be added to the register, out of a total electorate of close to 70,000, while reducing the voting age to 16 nationwide would enfranchise 1.5 million young people. Votes at 16 are already in place across several European countries covering various levels of elections, including in Norway, Austria, German, Brazil and the Isle of Man. 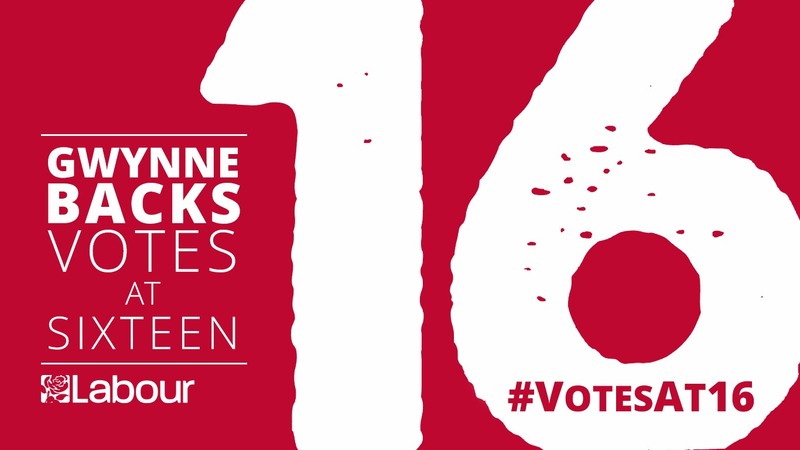 Moreover, this year 950,000 young people voted in the UK Youth Parliament UK-wide ballot called ‘Make Your Mark’ ballot, and Votes at 16 was made one of their five priority campaigns. In 2014, the Scottish Independence Referendum extended the franchise to 16 and 17 year olds, whose influence on the debate was considered positive with close to 75% turnout among those of that age. “Equipping young people with a voice on the issues affecting their lives is more important now than ever before. Above all, this is a debate about strengthening our democracy; about inclusion; and about how we involve all of society in shaping a vision for our country.